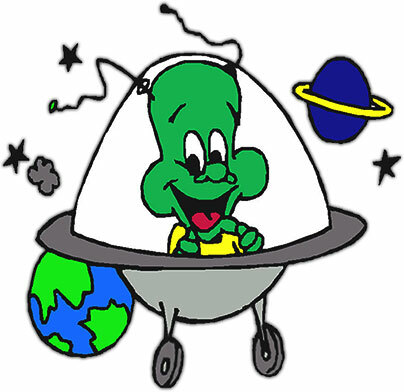 We include a wide variety of space aliens and spacecraft. Both kind and angry aliens, dancing and yelling extraterrestrials. Flying saucers, rockets and even a crashed spaceship or two. Did we mention aliens in computers? Of course, we all know about them. 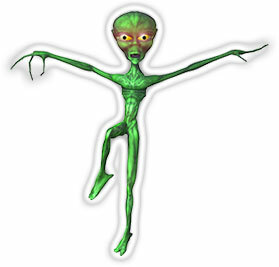 Two aliens dancing with joy. An alien creature from deep space. Watch out for his acid blood. 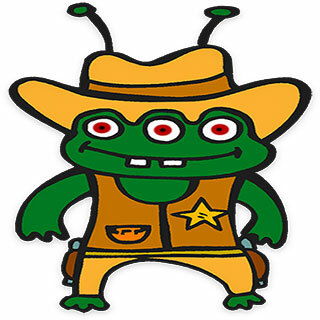 Funny alien on the move. Alien playing with a flying toy. Something alien in your computer. Alien trying to grab a frightened woman. Blue space alien on white. 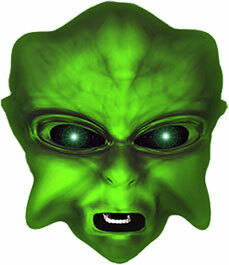 Our space alien web graphics may be used free to enhance your site. Space ships, monsters, science fiction, sci-fi, aliens from outer space.